A holiday evening out in the greater Seattle area isn't complete without a trip to the theater. And the regional schedule is packed with live, family-friendly entertainment, from choral concerts to ballet dance performances to traditional theatre plays. Well-established institutions like the Pacific Northwest Ballet and A Contemporary Theatre (ACT) provide seasonal entertainment that's deeply woven in the fabric of Seattle's holiday traditions. And local arts organizations like the Seattle Symphony and the Northwest Boyschoir also have holiday-themed gigs in December. A quintessential Nutcracker performance has long been a part of the holidays, no matter what city you're in. And the Pacific Northwest Ballet makes sure you won't miss it with over 30 scheduled performances each year. Performed in the Balanchine style, this ethereal ballet is accompanied by Tchaikovsky's score in a sometimes playful and always spectacular style that guests have come to expect. Bring the whole family and celebrate the season together. This December performance takes on a slightly new form each year and features rotating conductors, the Seattle Symphony, a full choir, and a host of exceptional coral soloists. Each seasonal showing of Handle's work wow's the audience with brisk instrumental tempos, energetic soloists, and accurate depictions of the original performance. Standing ovations are always a norm and leaving the theater with the feeling of an overflowing cup is not uncommon. The Magical Strings ensemble includes three generations of the Boulding family who, together, play Celtic harps, hammered dulcimers, whistles, concertinas, and various other stringed instruments. Their yuletide concerts feature Celtic dancers, a traditional tale, and a rousing and joyful medieval processional. And the evening doesn't end when the performance is over. A Christmas carol singalong follows the entertainment, as children of all ages join in the festivities. Take the family on a journey through a Charles Dickens holiday classic. This story follows the tale of Ebenezer Scrooge's transformation from surly employer to a warm-hearted friend. And it's been part of ACT's play schedule for decades. Each kid-friendly production includes creative illusions and special effects to keep the attention of the little ones during the duration of the tale. Regarded as one of the best children's choirs in the nation, the Northwest Boyschoir features dozens of incredibly talented young singers between the ages of 10 and 14. This Festival of Lessons & Carols has followed the same basic format for the last 30 years: Nine biblical passages are read ("the lessons"), each followed by a carol. The angelic boys' voices are jaw-dropping and their annual concerts sell out. So don't wait until the last minute to buy your tickets. This mid-winter celebration has four performances and is held at a different venue in Tacoma each year. It's a fabulous display of acting and signing that usually follows a heartwarming storyline, complete with comedy hits and seasonal nuances. Sit back and enjoy a colorful display of seasonal folk music and dance woven in and out of a story that may transport you to another location and time. The shows include performers of all ages and audience participation is encouraged and is also part of the fun. 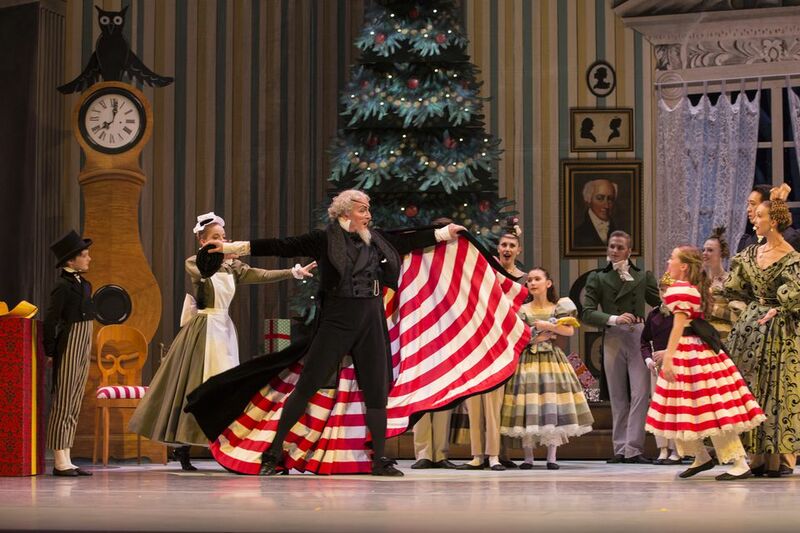 The Tacoma Ballet traditionally spins a unique twist on this popular Christmas-time production. The show is performed by students of the Tacoma City Ballet School and is accompanied by the Tacoma City Ballet Orchestra. With two matinee show times, this production's sampling of "ballet sweets" is perfect for a younger audience with a limited attention span. The one-hour performance culminates with a visit to “The Land of Sweets” for a sampling of goodies—the icing on the cake.